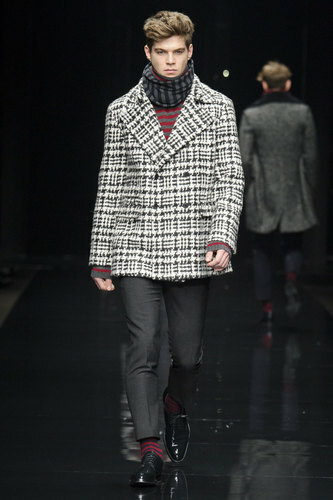 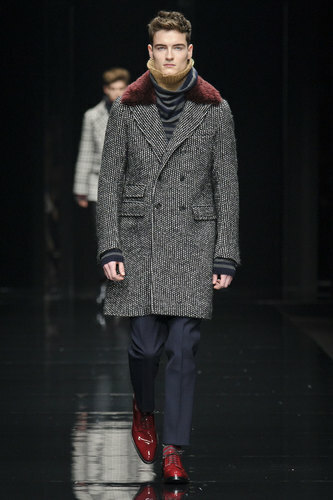 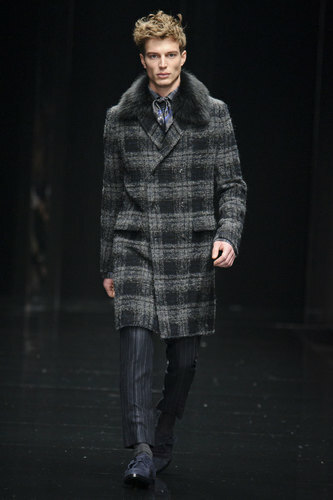 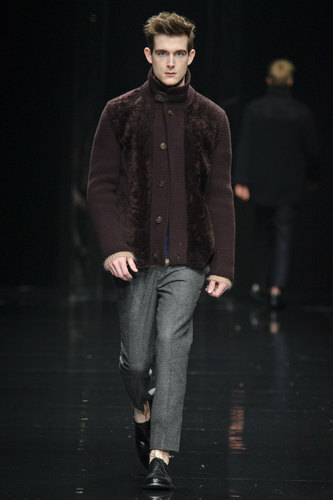 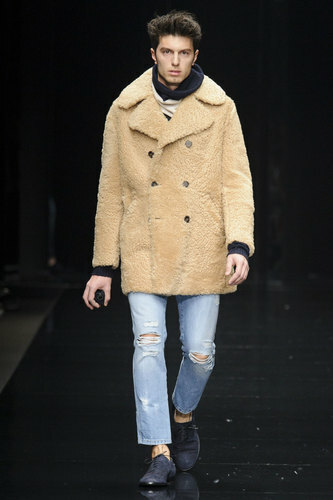 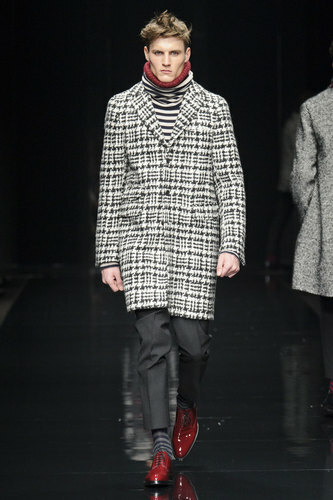 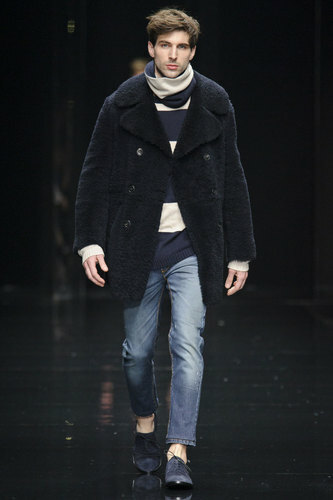 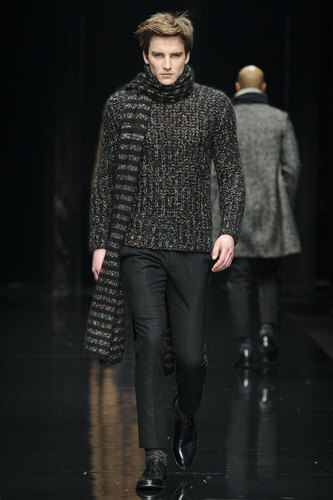 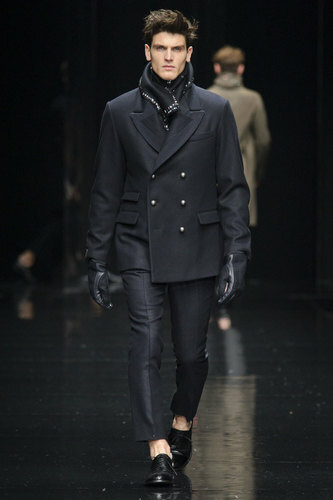 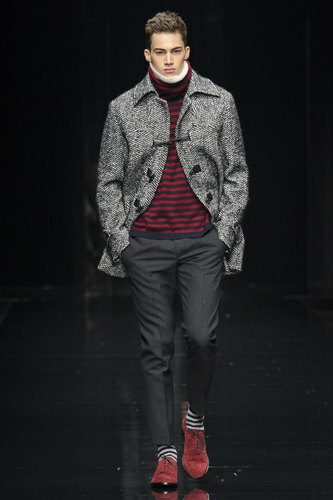 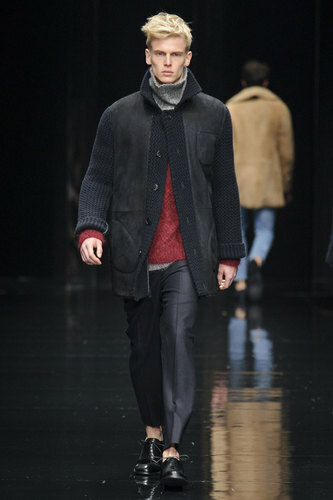 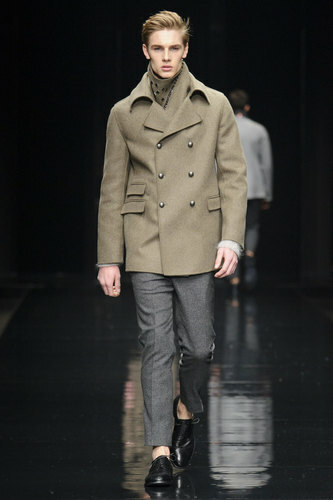 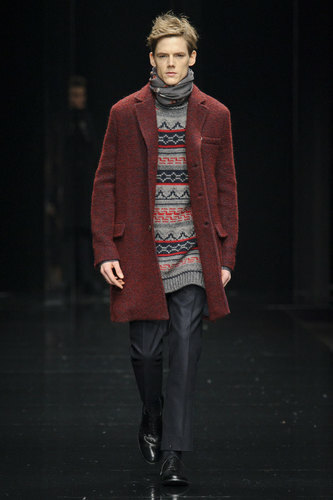 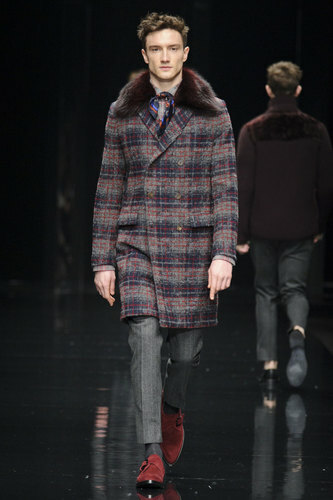 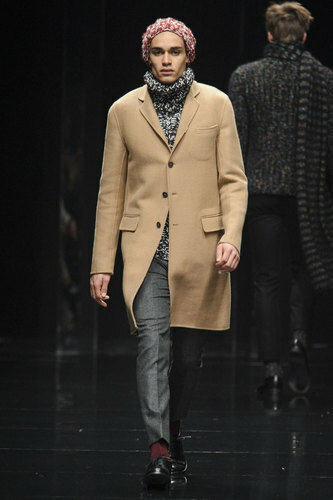 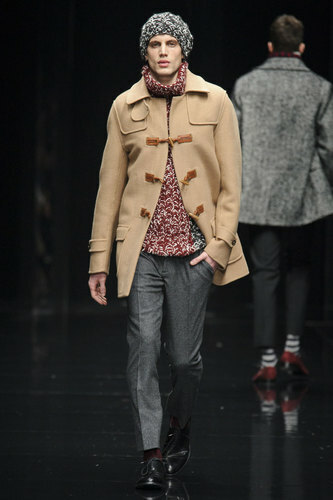 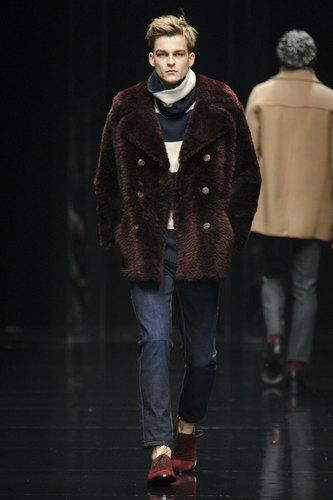 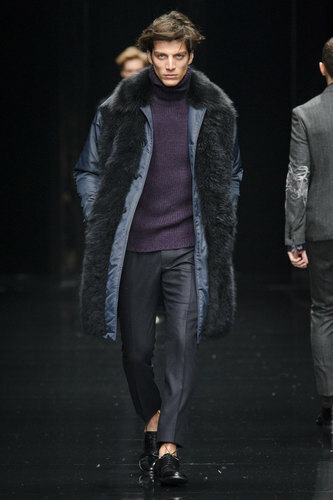 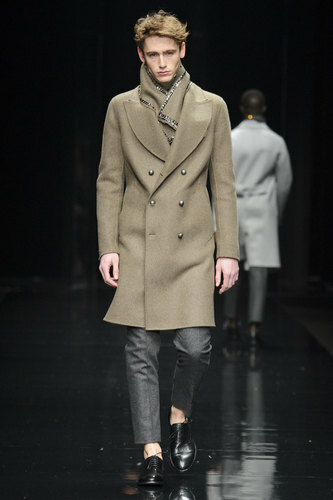 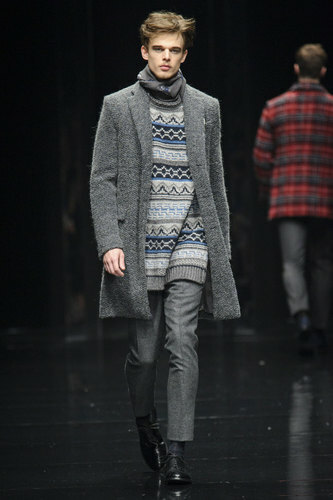 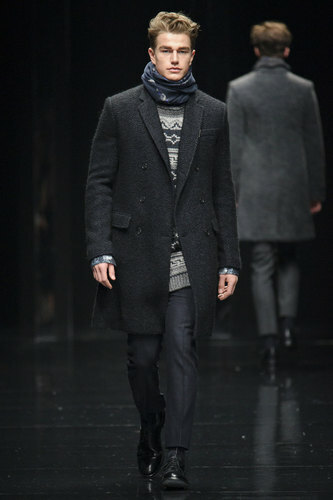 Ermanno Scervino Man Autumn-Winter 2015-16 – Ermanno Scervino designs a young significant collection. 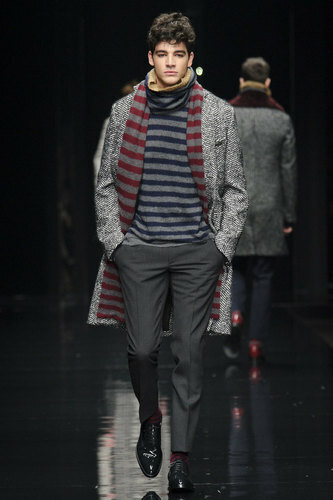 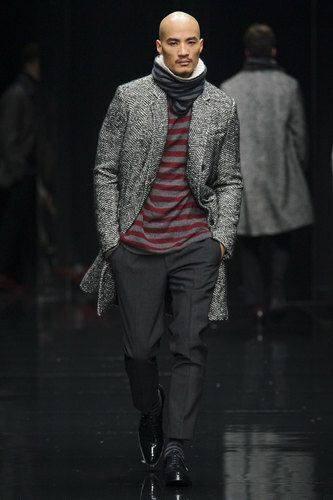 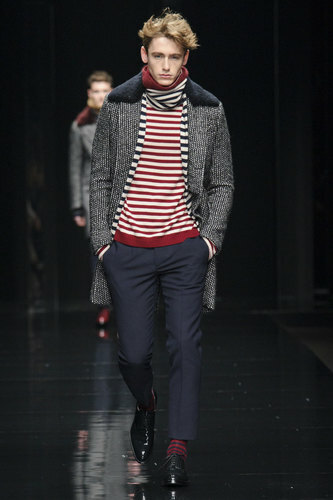 Burgundy, navy and grey tints open the catwalk in striped shirts or scarves. 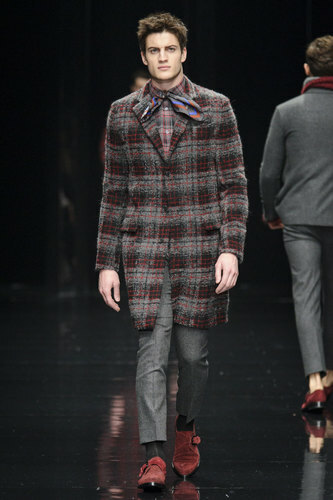 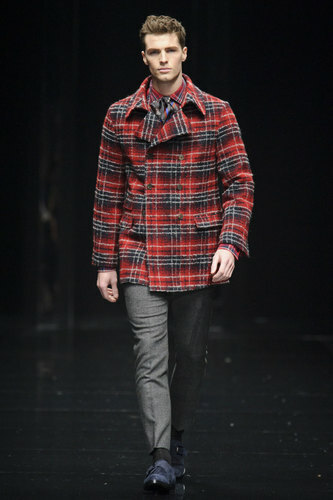 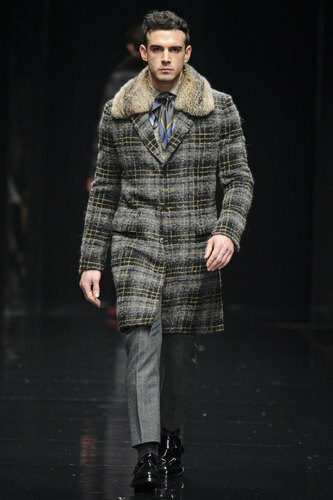 Plaid knee length coats are reconsidered in autumn colours and adorned by fur important collars. 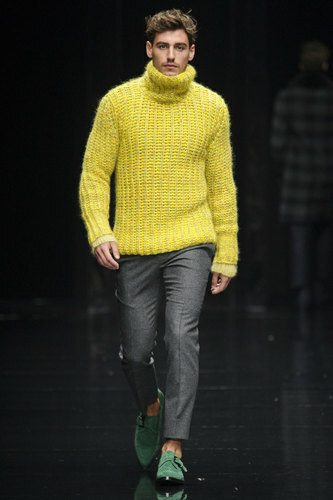 Canary yellow fluffy turtleneck fleeces matched with green shoes are giving to the fall season a pop of fresh air. 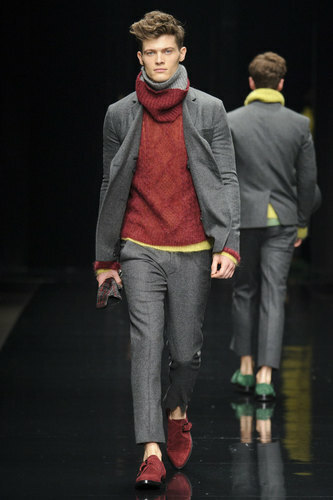 Geometrical prints on long jumpers are combined with tapered pants. 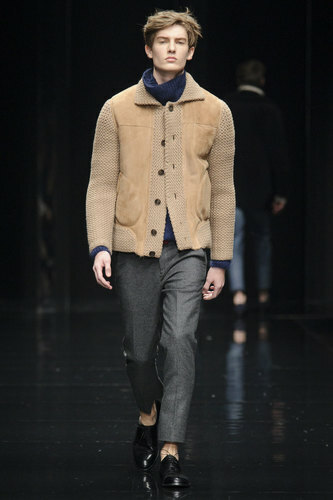 Most of the outfits are characterized by short edge trousers showing off a naked ankle. 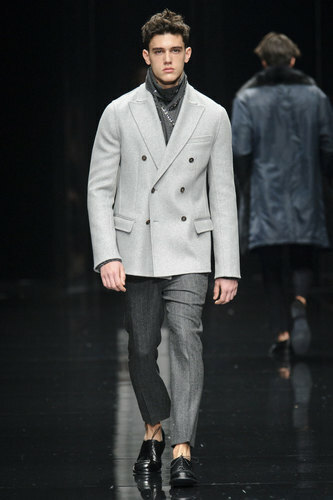 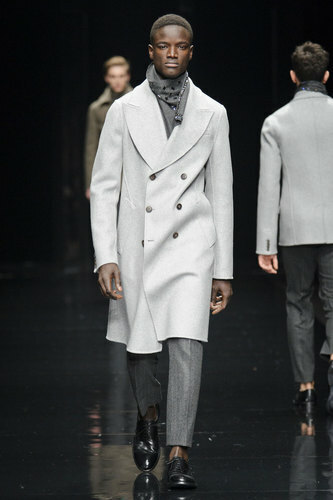 The attention of Scervino seems to appear on the neck zone. 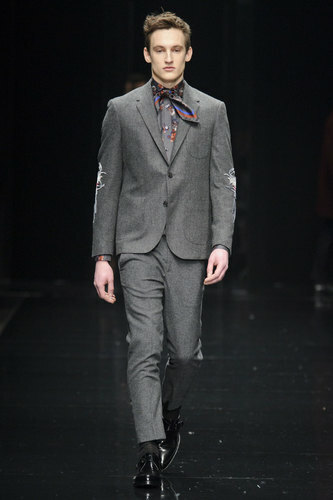 Linear and effortless outerwear looks are associated to scarves of the same tone but with shining small stones stick to them.On plaid blouses the designer adds silk short scarves tied at the collar. 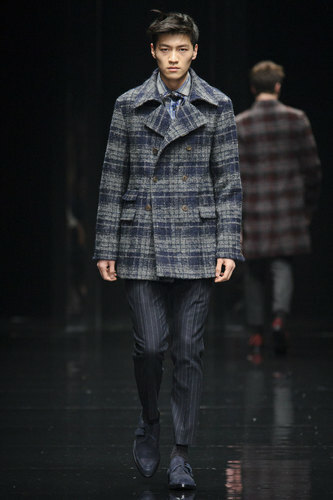 At the end of the show all the models come out on the runaway dressed in the same look: plaid casual navy shirt, black cummerbund and grey classic trousers. 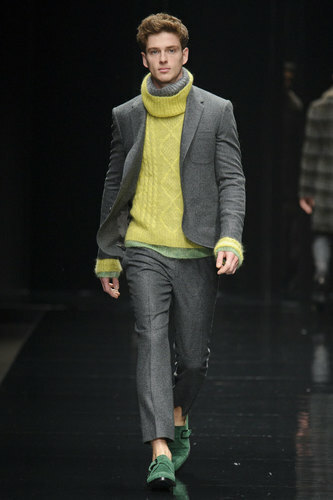 No socks.